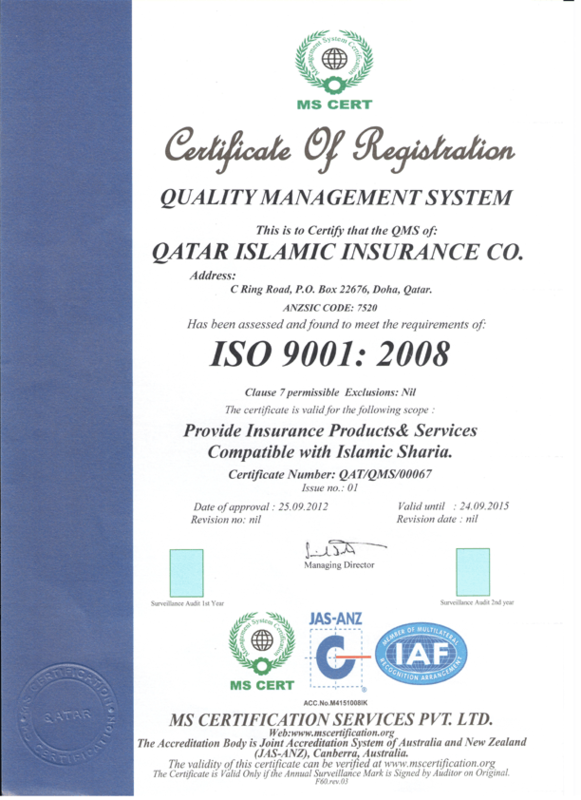 Approved by the Islamic Fiqh Academy (Mecca), Grand Sharia’ Scholars Panel (Kingdom of Saudi Arabia), Sharia’ Organizations in the Islamic Countries and the Sharia’ Supervisory Board of Qatar Islamic Insurance Company (QIIC). Securing the Future of Your Family and Protecting its Members from Life’s Perils and Uncertainties Are Your Prime Goals in Life. You realize, no doubt, that the burdens of life and the cost of living are constantly increasing, especially as basic social services are no longer provided free. You strive to provide the best higher education and health care to your family. You will do your utmost to contribute towards your children’s marriage expenses. You will certainly need to start planning and saving money as soon as you can to finance the cost of building your family home. And, as your retirement pension will not grow in line with the fast growing cost of living, you will be more confident if you guarantee an additional source of income to cover any shortfall in your future financial needs. Being the prime provider of your family, you will always endeavor to secure an alternative source of income for your family, in case your income ceases abruptly due to your untimely death or permanent total disability. To give you the peace of mind and reassurance that everything will be all right for your family, Qatar Islamic Insurance Company (QIIC) launched its Takaful insurance products in March 2000. Obtaining one of QIIC’s Takaful Insurance products is the best thing you can do for yourself, your family, and/or your business. Takaful Insurance – based on Islamic principles – is the Islamic equivalent of life insurance and the reliable source of financial planning for individuals and businesses. The prime objective of Takaful insurance is protecting a family in the event of the untimely death or permanent total disability of its provider through the sum payment assured to the policyholder (in the event of permanent total disability), or to the heirs, or any beneficiary the policyholder named in the policy (in case of death). The Prophet (peace be upon him) said: “It is better to leave your heirs rich than to leave them poor and needy asking others for help”. If you own or manage a commercial project, a professional firm or an industrial entity, you could be forced to bear unnecessary financial losses in the event of the death or disability of one of your staff. Issuing a Group Takaful Insurance Policy covering your employees will pass the financial burdens of such eventualities to QIIC. Our “AMAN Life” and “Aman Hemaya” Plans have been carefully designed to make your family’s future more secure. Death benefits, in the event of natural or accidental death of the policyholder, will be given to the heirs or any beneficiary named in the policy. Permanent Total Disability benefits will be given to the policyholder in the event of permanent total disability caused by accident or illness. Any person (male or female) under 65 years old. Members of one family collectively. 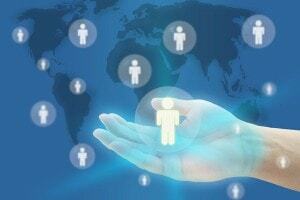 Group members of companies, industrial organizations and professional associations. Annual contribution payment (insurance premium) which is determined on the policyholder’s sum insured, age, health condition and period of insurance. Immediate settlement of the Sum Insured in full, in case of death or permanent total disability of the policyholder. From 1 year to 20 years. Maximum flexibility to increase or decrease of the Sum Insured during the currency of the policy. Payment of the Sum Insured to either the policyholder (in case of permanent total disability) or his/her heirs/beneficiaries (in case of death). As surpluses (profits) generated from insurance operations are due and refundable to all the policyholders, the AMAN policyholder will be entitled to receive his/her share of such surpluses each year (20% for the year 2015). Upon the death or permanent total disability of either Ahmed or Khalid, the Sum Insured will be fully paid to the heirs or beneficiary/beneficiaries named in the policy. Immediately upon the death or permanent total disability of any of the 26 employees, QllC will pay the Sum Insured (the equivalent of 24 months salary) to the beneficiary. “Aman Hemaya” : Takaful Cover for Personal Debts This is one of QIIC’s Takaful (Islamic Alternative to Life Insurance) products designed to cover the payment of debts, finances and facilities provided by Islamic and conventional banks, financing companies or investment houses to an individual borrower. The prime objective of “Hemaya” is the full settlement of the debt by QIIC in the event of the untimely death or total disability due to illness or accident of the policyholder (debtor). The bank or finance house, providing the loan, will be guaranteed the payment of the debt in circumstances falling within the “Hemaya” cover. The bank will relax its loan providing conditions. The burden of payment of the loan will not pass to the family of the policyholder (debtor) or to his guarantors. Upon death / total disability, QIIC will pay to the lending bank/ company the outstanding (unpaid) balance of the debt at the time of death/total disability . Mr. Ahmed is 30 years of age. He has been given a bank loan for QR.105,600 with repayment over 48 months. His “Hemaya” premium for the entire duration of the loan works out at QR. 480. After the payment of 8 installments by Mr. Ahmed, he passes away. QIIC pays to the bank (QR. 105,600 x 40) / 48 = QR. 88,000 on behalf of the deceased. All the Islamic Banks and Islamic financing houses in Qatar have entered into contractual agreements with QIIC whereby all their personal loans are now fully covered under the “Aman Hemaya” plan. Death benefits, in the event of natural or accidental death of the policyholder, will be given to the heirs or any beneficiary named in the policy.Permanent Total Disability benefits will be given to the policyholder in the event of permanent total disability caused by accident or illness. The “AMAN HOUSEHOLDERS” Plan is available to: Any person (male or female) under 50 years old. Annual contribution payment (insurance premium) which is determined on the policyholders sum insured, age, health condition and period of insurance.